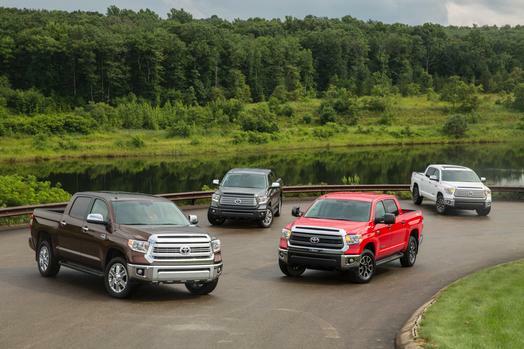 It’s true what they say, everything is bigger in Texas, and that goes for the Toyota Tundra family of full-size pickups assembled there. Tundra is big in stature, power and model choice, with 50 total configurations available. And, Limited, Platinum, 1794 Edition and TRD Pro models have a bigger fuel tank for 2016 -- now 38 gallons vs. 26.4 before – plus a standard integrated Trailer Brake Control. 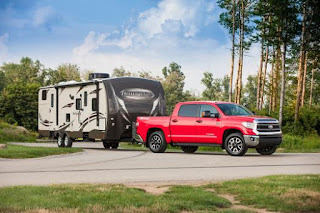 The Tundra, which adds front end styling updates on the SR5 and 1794 Edition, is also big on carrying and pulling things, with bed length up to 8.1 feet and trailer towing capacity up to 10,500 pounds. Big also describes cabin room, with up to 42.3 inches of rear seat legroom in CrewMax models -- better than some luxury sedans. 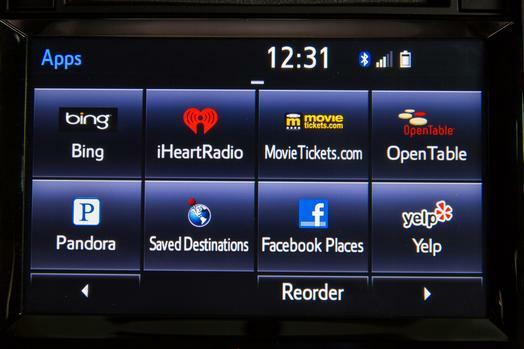 Toyota upgraded the Entune Multimedia units to 2.5 version status in all Tundra models for 2016. The base SR grade gets a standard Entune Audio system. The SR5 grade steps up to Entune Audio Plus with Connected Navigation App (Scout® GPS Link App), which uses the customer’s smartphone to provide navigation functionality through the head unit. The Limited and TRD Pro come with Entune Premium Audio with In-Vehicle Navigation and App Suite, while the Platinum and 1794 Edition feature standard Entune Premium JBL Audio with In-Vehicle Navigation and App Suite. The premium multimedia units offer 85 percent faster functionality thanks to new dual core processors, and iPhone® users can now charge their phone using the USB port while using the Entune App Suite at the same time. The App Suite adds Slacker Radio and replaces Bing with Destination Search. Got trails? 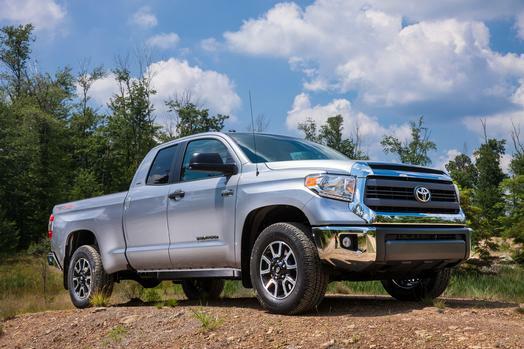 The Tundra offers an available TRD Off-Road Package on SR5, Limited and, also for 2016, the 1794 Edition. Or, go all in with the TRD Pro off-road model. You’ll know it when you see it by the old school TOYOTA grille, TRD Pro bed panel stamping, aluminum skid plate, matte black badges and black headlight bezels. The TRD Pro takes an aggressive stance on 18-inch TRD black alloy wheels wrapped in Michelin Off-Road Package tires. The Tundra TRD Pro is ready for any terrain with a complete TRD suspension upgrade that raises the front of the vehicle two inches for a level ride height and extends wheel travel at all four corners. The package includes larger diameter TRD-tuned Bilstein High-Performance shocks with internal hydraulic bump stops and piggyback external reservoirs. People will certainly hear the Tundra TRD Pro coming, thanks to a TRD dual exhaust system that gives the 5.7-liter V8 a throaty growl. 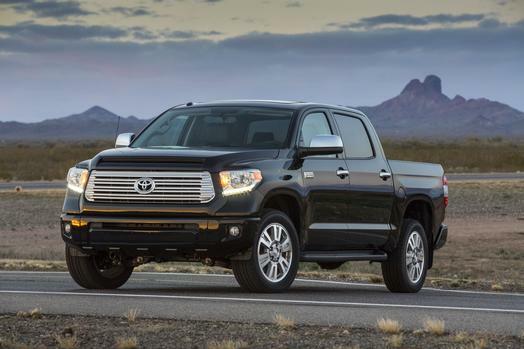 This extra-bold Tundra is available in White, Magnetic Gray and, new for 2016, Quicksand. Inside, the Tundra TRD Pro includes new black leather seating with red stitching and a TRD Pro logo. 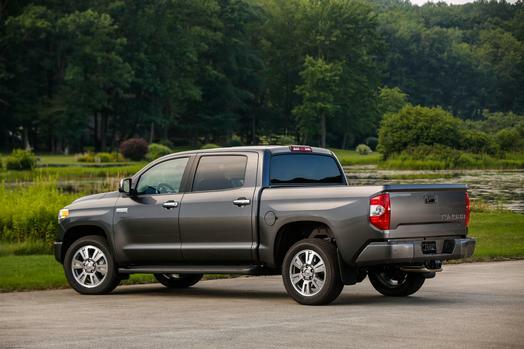 There’s no shortage of choices in the Tundra line, which offers three cab styles: two-door Regular Cab, four-door Double Cab, and the super-sized four-door CrewMax. Tundra Regular Cab models come exclusively with a long bed (8.1-foot) configuration. Double Cab models are offered in the standard-bed (6.5-foot) or long-bed (8.1-foot) configurations and include rear under seat tray storage on the SR5 and Limited grades. The CrewMax comes with a 5.5-foot bed; all Tundra beds are 22.2-in. deep. 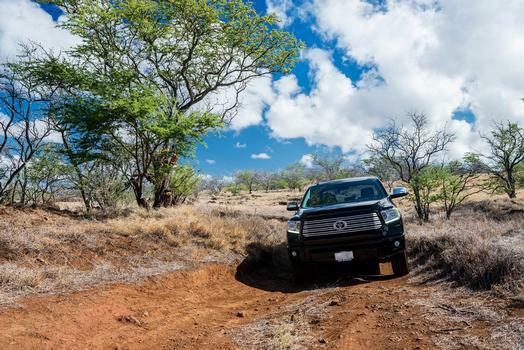 Tundras are equipped with several clever features for added convenience and value. For example, the front and rear bumpers use three-piece construction for reduced repair costs; the available spray-in bed liner also adds value; the easy-lower-and-lift tailgate lowers slowly with no slam, can easily be removed when necessary and comes standard with a lock feature to help prevent theft; Limited trim Double Cab models come standard with a power sliding horizontal rear window, while all CrewMax models have a power vertical sliding rear window. Tundra comes standard with the 4.6-liter i-Force V8 that doles out 310 horsepower at 5,600 rpm and 327 lb.-ft. of peak torque at 3,400 rpm. 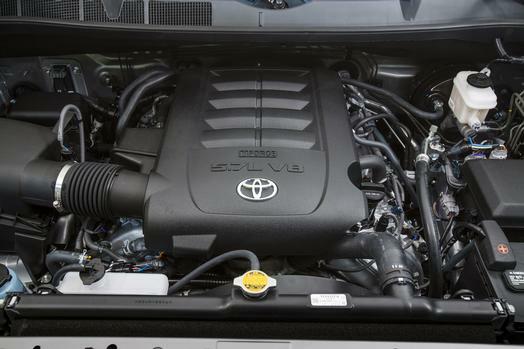 The most popular Tundra engine – and one of the most capable and advanced in the full-size pickup segment -- is the available 5.7-liter i-Force V8. It’s a remarkably refined workhorse that generates 381 horsepower at 5,600 rpm and 401 lb.-ft. of peak torque at 3,600 rpm. For 2016, 22 of those with the 5.7-liter V8 are certified Flex-Fuel Vehicles (FFVs) that can use up to E85 blend fuel (available in select markets). Both V8s feature an aluminum cylinder block and double overhead-cam heads with four valves per cylinder. In both, Dual Independent Variable Valve Timing with intelligence (VVT-i) and Acoustic Control Induction System get credit for a broad torque curve. Both engines come teamed with a 6-speed electronically controlled automatic transmission. The foundation for Tundra’s strength and up to 10,500-lb. towing capacity (SAE J2807 towing standard compliant) is its TripleTech frame. “Triple” refers to the wide, full-boxed rails for the front portion, a reinforced C-channel under the cab and an open C-channel beneath the bed for strength, ride quality and durability. The double A-arm front suspension uses coil-over spring shock units, and a front-mounted steering rack enhances steering feel and response, while decreasing the overall turning diameter. In the rear suspension, staggered shocks mounted outboard of the springs help improve dampening efficiency. Spring rates are tuned to provide a flat vehicle stance when fully loaded. 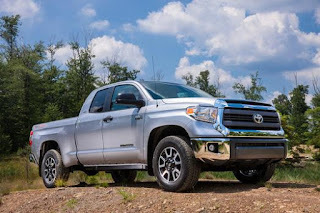 The Tundra SR and SR5 grades ride on 18-inch styled steel wheels, while the Limited, Platinum and 1794 Edition feature 20-inch alloy wheels, each grade with its own design. Naturally, Tundra has big braking power. The 4-wheel disc brakes use massive ventilated rotors front and rear: 13.9 inches and 1.26-inches thick in front with segment-exclusive 4-piston calipers, and 13.6 x 0.71-inch rear rotors with 2-piston calipers. On Tundra 2WD models, the Vehicle Stability Control (VSC) system integrates traction control (TRAC) that enhances grip on or off-road. The system also incorporates Automatic Limited-Slip Differential (Auto-LSD), which provides better performance in deep sand or mud and on mixed-friction surfaces because it doesn’t restrict engine power. Compared to a conventional mechanical limited slip differential, the Auto-LSD system is often more responsive and has better wear characteristics, since it utilizes the vehicles brakes to limit wheelspin. Tundra 4X4 models use the on-demand, electronically controlled 4WDemand part-time 4WD system featuring a six-pinion planetary reduction gear set to provide 4x2, 4x4 Hi and 4x4 Lo ranges. The driver selects the drive mode using a dial on the dash. With 4WDemand, Active Traction Control (A-TRAC) operates like Auto-LSD, allowing full, unrestricted engine output, transferring power to the wheel with the most traction on both the front and rear axles. Tundra puts more control in the driver’s hands – or, more accurately, at the driver’s fingertips, via the mode selector. In normal mode, VSC and TRAC function to help enable traction and control capability. TRAC Off and Auto-LSD modes activate Auto-LSD to help extricate the Tundra from extreme conditions by allowing full, unrestricted engine output and transferring power to the wheel with the most traction. The VSC Off mode turns off all three systems. Don't take all towing claims at face value. Ask to see its SAE J2807 towing standard certification. 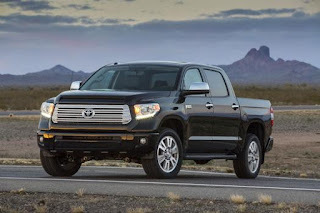 The Toyota Tundra was the first to adopt this standard in 2011. 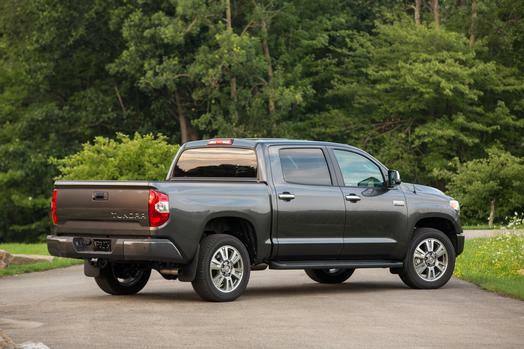 With the standard Tow Package, 5.7-liter V8 Tundra offers a maximum tow capacity of 10,500 pounds (4x2 Regular Cab). So equipped, Tundra uses a one-piece towing receiver integrated into the frame prior to bed installation. The Tow Package upgrades Tundra’s cooling and electrical systems, as well. Integrated engine and transmission oil coolers help handle the demands of towing under a full load, and a heavy-duty battery and alternator are added. The 7- and 4-pin towing hitch connectors sit above the hitch to help avoid damage during high-departure-angle driving. 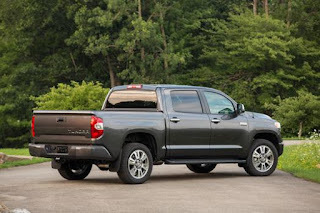 Tundra models equipped with the Tow Package also come with a selectable TOW/HAUL shift mode for transmission. The TOW/HAUL mode adjusts throttle sensitivity and transmission shift control, favoring and holding lower gears when accelerating or decelerating to help enhance control and safety. 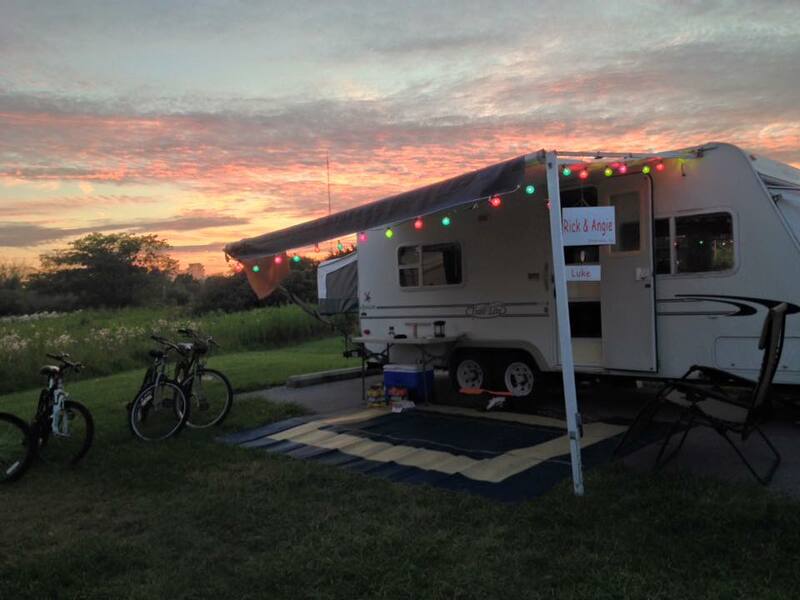 Anyone who tows will appreciate Trailer Sway Control. A function of Vehicle Stability Control, Trailer Sway Control helps counteract handling forces that can cause trailer sway. An integrated Trailer Brake Controller is also now included, with controls by the driver’s knee and a status screen on the multi-information display screen. All Tundra models come standard with a backup camera (viewed from the Entune Audio display screen or available navigation screen). On 5.7-liter models, heated, power, outside tow mirrors with turn signal indicators and manual-extend feature are available. In addition to the TRD Pro, the Tundra line includes the hard-working SR, volume-leading SR5, the well-appointed Limited, and two premium grades, the Platinum and unique 1794 Edition. 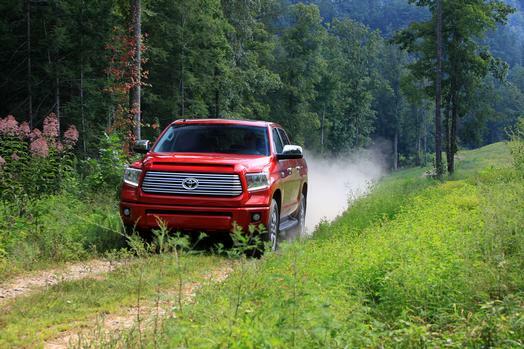 All Tundra models are remarkably civilized and quiet, thanks in part to extensive noise-control measures. The cabin design features a “professional gear” theme, with unique driver and passenger zones, metallic accents and bold contrasting fabric. Premium surface treatments include high-granulated paint on the center cluster and unique seat stitching to enhance interior quality and durability. Gauges are grouped in a clear, easy-to-see design and there’s a center-mounted multi-information display screen. The dash’s large knobs can be operated while wearing gloves. The console offers multiple storage areas for personal items and electronics. Double Cab and CrewMax models are available with bench or bucket seats for the front row, and rear seats in both cab styles can be folded up for additional cargo carrying capability. All Tundra models come with standard Bluetooth® hands-free phone and audio streaming. All have a standard windshield wiper de-icer, front and rear mudguards, power window and door locks, and heated, power, outside mirrors. Standard High Solar Energy-Absorbing (HSEA) glass helps filter solar heat and most UV light energy entering the vehicle – good for occupants, and good for interior material durability. The Limited grade adds leather seating surfaces in Black, Sand Beige or Graphite with matching soft-touch door and console surfaces, and wood-style interior trims. 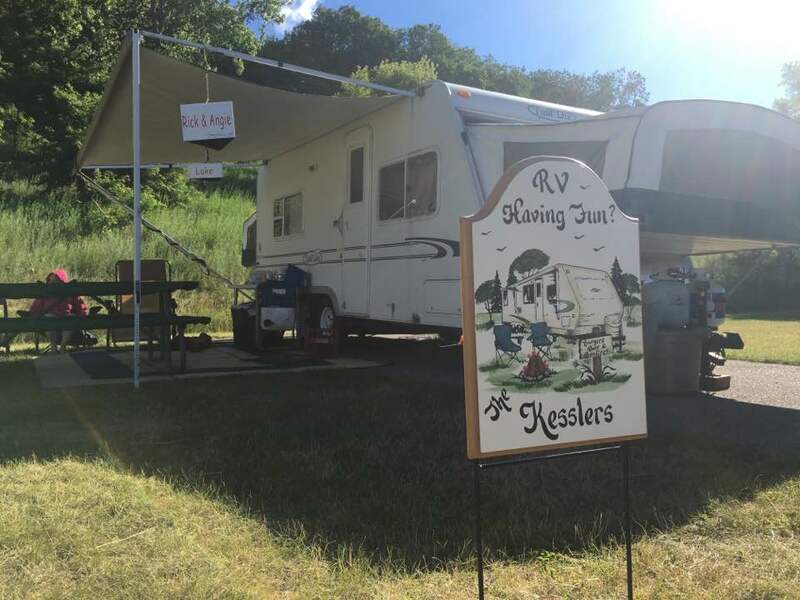 Amenities include dual zone air conditioning and a 10-way power driver seat with power lumbar support. The exterior is dressed out with chrome door handles and side mirrors, 20-inch alloy wheels and a deck rail system. So, what exactly is this 1794 Edition mentioned several times already? It’s a special model that shares top billing with the Platinum grade, and it’s got a good story. Named for the ranch, founded in 1794, on which the Tundra plant is located in San Antonio, the 1794 Edition reflects a western lifestyle theme with exclusive saddle brown premium leather-trimmed seating with embossed leather and ultra-suede accents. Matching soft-touch materials also accent the shift console, the front and rear door trim, and the instrument panel. Adding a distinctive design touch that’s also functional, the Platinum and 1794 Edition feature LED daytime running lights (DRLs). Standard luxuries for both include a 12-way power driver’s seat with memory and a 4-way power passenger’s seat, both with heat and ventilation; a 12-speaker touch-screen Entune Premium JBL Audio system with Navigation and App Suite; a power moonroof; Blind Spot Monitor with Rear Cross Traffic Alert and front and rear parking sonar; auto-dimming rearview mirror with compass, and HomeLink® universal transceiver. The Tundra’s quiet interior is ideal for enjoying the sound quality of the standard Entune Audio systems. On the SR grade, the standard Entune Audio includes a 6.1-inch touchscreen display; AM/FM CD Player with MP3/WMA playback capability; aux jack; USB 2.0 port with increased charging capability and iPod® connectivity and control; hands-free phone capability; Siri® Eyes Free; advanced voice recognition, plus phone book access and music streaming via Bluetooth. The SR5 comes standard with Entune Audio Plus with the new Connected Navigation Scout® GPS Link App, which includes the Entune Multimedia Bundle with Hi-Res 7.0-inch touch-screen display; HD Radio with iTunes® tagging and HD Traffic and Weather (metro areas only), and SiriusXM® satellite radio (3-month complimentary trial). Standard on the Limited and TRD Pro grades and available on the SR5, the Entune Premium Audio with Navigation and App Suite makes a smartphone smarter. Using your paired smartphone, you can access apps includingSlacker, iHeartRadio, MovieTickets.com, Open Table®, Pandora®, Yelp and Facebook Places, as well as real-time traffic, weather, fuel prices, sports, and stocks – all through the Tundra’s touch screen. The Platinum and 1794 Edition CrewMax models get the works, the Entune Premium JBL® Audio with Navigation and Entune App Suite. This package is optional for the Limited CrewMax models. The standard Toyota Star Safety System™ includes Vehicle Stability Control (VSC), Traction Control (TRAC), an Anti-lock Braking System (ABS), Electronic Brake-force Distribution (EBD), Brake Assist (BA), and Smart Stop (SST) brake override technology. The eight standard airbags include front seat-mounted side airbags, and front and rear Roll-sensing Side Curtain Airbags (RSCA), driver and front outboard passenger airbags with an Advanced Airbag System, and the segment’s first standard driver and front outboard passenger knee airbags. A Blind Spot Monitor with Rear Cross Traffic Alert (available SR5 and Limited; standard on Platinum and 1794 Edition) detects vehicles not visible using mirrors alone. The Cross Traffic Alert feature warns drivers of cross traffic via indicator lights in side-view mirrors and a warning buzzer. The current-generation Toyota Tundra was primarily designed by Toyota’s Calty Design Research centers in Newport Beach, Calif., and Ann Arbor, Mich., with some engineering by Toyota Technical Center in Ann Arbor, Mich., and is assembled exclusively at Toyota Motor Manufacturing in San Antonio, Tex. Its V8 engines are assembled at Toyota Motor Manufacturing Alabama, Inc., and 5.7-liter V8 transmissions are manufactured in North Carolina. Toyota’s 36-month/36,000 mile basic new-vehicle warranty applies to all components other than normal wear and maintenance items. Additional 60-month warranties cover the powertrain for 60,000 miles and corrosion with no mileage limitation. Toyota dealers have complete details on the limited warranty. 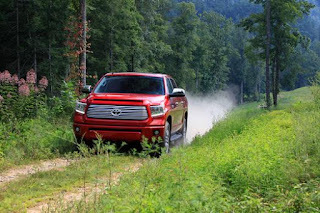 Tundra also comes standard with Toyota Care, a complimentary plan covering normal factory-scheduled maintenance and 24-hour roadside assistance for two years or 25,000 miles, whichever comes first.